This entry was posted on September 23, 2014 at 7:18 am and is filed under Climate change, Science communication. You can follow any responses to this entry through the RSS 2.0 feed. You can leave a response, or trackback from your own site. 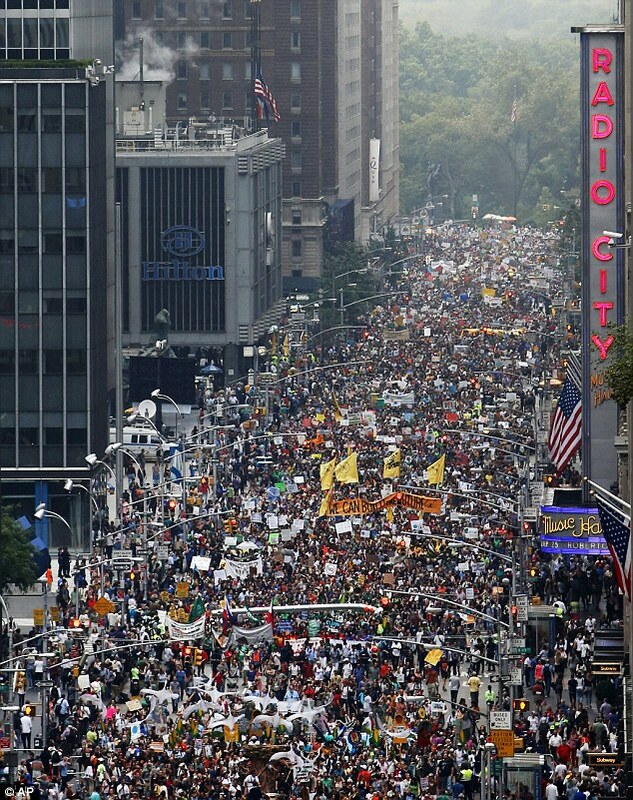 The NYC march has been severely under-reported even by traditional warmist outlets such as the BBC and the NYT. I think there is a dichotomy between what happened in the streets and the general strategy on how to push forward action on climate change, and at some point a robust internal debate will shake various groups of activists. The people in the streets IMHO are much more militant and demand more immediate results than Greenpeace, the WWF, FoE etc etc can provide. Just picking up on “militant” – I didn’t see any evidence of agressive behaviour on the March or on the news afterwards (which is probably why it didn’t get much coverage!) Maybe that’s not been the case with yesterday’s “sit in” in New York but in general it all seems fairly civilised to me.